A report released this month by the national Center on Budget and Policy Priorities looked at states across the country that cut their higher education budgets in the wake of the 2008 economic downturn. Three of 50 states did not make cuts to their systems during that time, North Dakota, Wyoming and Alaska. The report says now that the economy is picking up, states are restoring funding to colleges and universities, but levels are still well below where they were in 2008. Thirteen states have continued to cut programs, and West Virginia was among, but holds a special distinction of one of three states that cut higher ed in 2014 and 2015 consecutively. That group includes Kentucky and Oklahoma. Sean O’Leary, fiscal policy analyst with the West Virginia Center on Budget and Policy, points to tax cuts approved by lawmakers in recent years as one reason why West Virginia has looked to higher education decreases to help balance the state budget. O'Leary pointed specifically to the reduction of the state's corporate net income tax, phasing out of the business franchise tax and removal of the 6 percent food tax. "Altogether, those cost the state about $360-400 million in lost revenue. That revenue had to be made up somewhere and higher ed is one of the easier places to cut," he said. The cuts have resulted in about $2,000 less funding for colleges and universities per student, which has led to a $1,600 rise in tuition on average at state institutions. O'Leary said that rise in cost deters enrollment, especially for low income students who are vital to the state's workforce. "[Low income students] are less likely to go to college, if they do manage to go to college, they're more likely to graduate with higher levels of debt," O'Leary said, "and the state finds it harder to economically prosper when it can't attract the kinds of businesses that are looking for a highly education workforce." 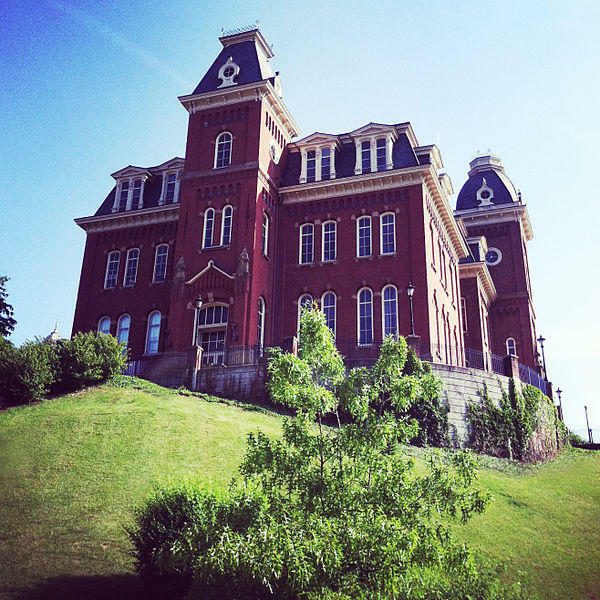 The West Virginia Higher Education Policy Commission is set to vote on a tuition increase for the West Virginia University system next Friday. The WVU Board of Governors approved a nearly 10 percent hike for in state students and 5 percent hike for out of state students at their meeting this month. Any increase of more than 5 percent must be approved by the HEPC. More than a year and a half after its initially announced release date, members of the Governor’s Blue Ribbon Commission on Highways are set to release their final report Wednesday. The commission began its work in October 2012, studying the state’s highway system, polling West Virginians on their priorities and compiling a list of new revenue sources as well as efficiencies. In September 2013, the group held their final meeting to discuss recommendations, which include increasing the motor vehicle sales tax and DMV fees as well as continuing tolls on the West Virginia Turnpike to leverage more than $1 billion for new construction. A new report says West Virginia's rural roads and bridges are among the worst in the nation. The report by transportation research group TRIP says 29 percent of major rural roads in West Virginia were in poor condition in 2013. That's the sixth highest rate in the nation. Former Massey Energy CEO Donald Blankenship's lawyers have asked a federal appeals court to assign his criminal case to a judge outside the Southern District of West Virginia. A defense motion filed Monday with the Fourth U.S. Circuit Court of Appeals says the district's judges should be disqualified from the case because their colleague, U.S. District Judge Joseph Goodwin, is the father of U.S. Attorney Booth Goodwin. The prosecutor's father doesn't handle criminal cases in the district.